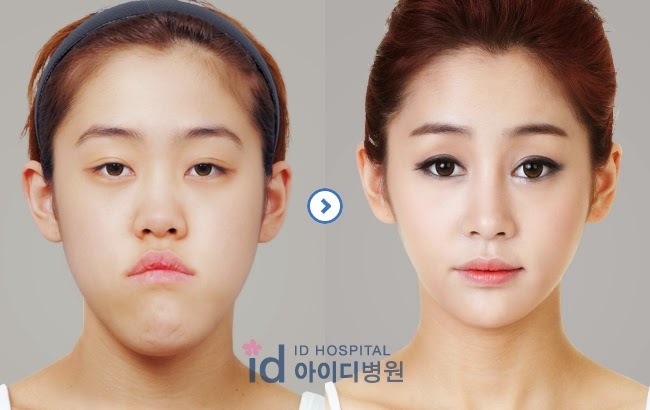 Cosmetic surgery procedures are on the rise globally and are also gaining local popularity nationwide in Malaysia. However, there have been reports of adverse outcomes including disfigurements and even death, arising from aesthetic procedures performed by incompetent medical and non-medical practitioners. Although aesthetic medical practice has not been recognized as a medical specialty in Malaysia, it is scientific in its approach and practice. The scientific concepts underpinning aesthetic medical practice have resulted from work done and published in dermatology and plastic surgical literature, and is taught within the core curriculum of these two specialties. Recent development in aesthetic medical practice has seen a growth in the number of general practitioners practising in this field. There is a lot of confusion as many types of doctors are involved in this space i.e. plastic surgeons, dermatologists, eye specialists, ear nose throat specialists, breast surgeons, gynecologists and general practitioners. Thankfully, the Malaysian Government has come out with guidelines on aesthetic medical practice to address most of the confusion. 1. Choosing the right doctor is by far the most important factor. Cosmetic surgical procedures bear risks and hence, it is crucial that you have your procedure performed by a qualified and Malaysian registered plastic surgeon. Not all plastic surgeons may boast breast augmentation as their specialty; therefore, it is important you do your research beforehand. Which doctor is popular for doing a good job? Are you happy with their collection of before and after pictures? 2. In Malaysia, only doctors are allowed to carry out medical procedures. And all qualified doctors must register with the Malaysian Medical Council. You can verify if the person is really a doctor by visiting: http://mmc.gov.my/v1/index.php?option=com_wrapper&Itemid=50 and type in the real name of the doctor, if the name is not found the person is practising illegally in Malaysia. 3. 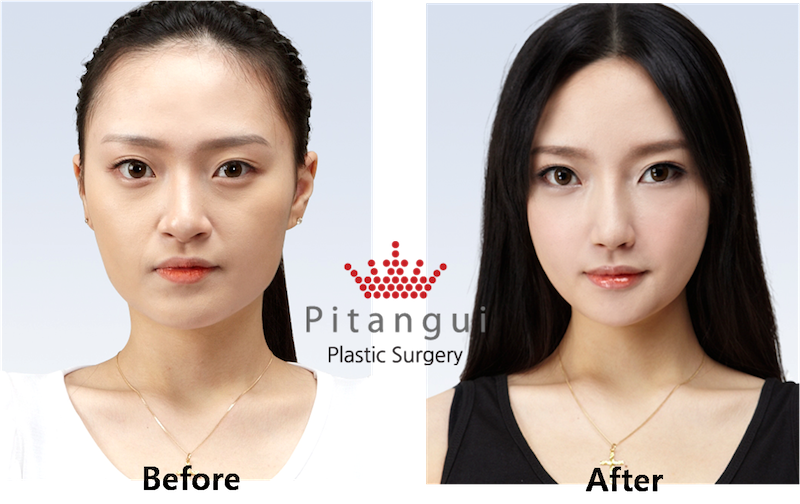 No plastic surgeon can claim that he/she is the best plastic surgeon in Kuala Lumpur. 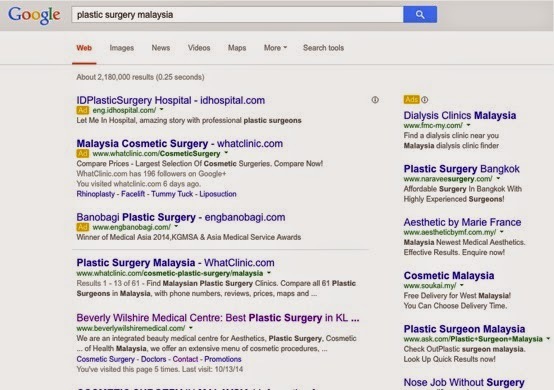 There are no established clinical performance metrics to measure the competence of a particular plastic surgeon or cosmetic surgeon at the moment in Malaysia. Even there is such a performance measurement system; the performance of a particular surgeon does vary from patient to patient as well as from time to time. Further, a surgeon who is good in eye-lid surgery may not be as good in breast implant procedure. 4. With Google search, you will get a list of search results and the top ones and the right column are advertisements. The search results are ranked according to your search keywords, your location and other factors based on Google search algorithm. So, how do you shortlist the few? Call up the centers and make your enquiries. Filter out those that are not able to provide you with the right information. A poorly trained staff tends to be a reflection of the centre as well. Do understand that a plastic surgery procedure requires team effort and poor support is a risk factor to the surgical procedure. Next, you Google again the prospective plastic surgeon’s name and the centre; and add in the keywords ‘forum’ or ‘reviews’ to see what other people have to say about them. If you know a friend or relative who has an operation done before, make sure that you talk to him or her. However, make sure she is a trusted friend. 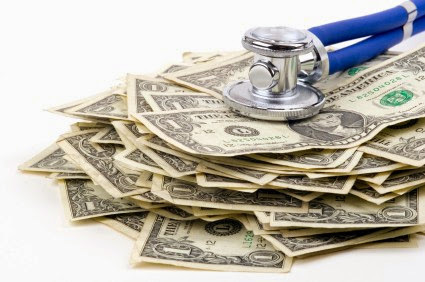 Some centres or surgeons do offer commission scheme or ‘patient get patient’ referral scheme. Therefore, do not just rely on information provided by a single person. Do your research thoroughly. A surgery is a surgery. Mistakes do happen. 6. You need to have a pre-op check up. This is another important factor that is often overlooked and disregarded by many patients. As they do not realise that surgery bears serious risks, many omit certain health information from their doctors, and even ‘cheat’ when told not to do something before surgery. Surgery is not a matter to be taken lightly, so it is important that the patient is in the best of health and abides by the pre-operation regulations (such as to avoid excessive alcohol consumption, smoking, and certain medications and supplements), if they are thinking of having surgery. 7. Aesthetic procedures can be classified into non-invasive, minimally invasive and invasive. a. Non-invasive procedures are defined as external applications or treatment procedures that are carried out without creating a break in the skin or penetration of the integument. They target the outer layer of the skin only. b. Minimally invasive procedures are treatment procedures that induce minimal damage to the skin at the point of entry of instruments. c. Invasive procedures are defined as treatment procedures that penetrate or break the skin through either perforation or incision with the use of knife, diathermy, ablative lasers, radiofrequency, ultrasound, cannulae and needles. 8. All aesthetic procedures are not completely safe. Some of the complications commonly encountered include anaesthetic reactions, bleeding, infections, scarring, pigmentary changes (hypo- or hyper pigmentation) and even death. When a procedure has a potential for serious complications, it may be categorised as invasive even if it involves minimal damage to the skin. 12. The final important step to help you achieve the best results for your augmentation is to plan your procedure well. Do your research, and never be afraid to ask your plastic surgeon any questions you may have. If possible, try to find and speak to other patients that have had the procedure. A personal insight can be very helpful. Ask your plastic surgeon if they can suggest patients to speak to, or search the Internet for websites or blogs that can help. At the end of the day, it is important to remember that things can still go wrong no matter how much planning and how many safety precautions are taken (due to unforeseen circumstances). Therefore, while you try to take every care to ensure the best and safest results for your procedure, do also monitor what you are feeling or experiencing after your surgery – if you feel that something is not right, do not hesitate to see your surgeon or go to a hospital. If you are supposed to go back for a follow up, please do so accordingly. To look for a plastic surgeon in Malaysia by location, please check out Cosmetic Surgery Malaysia.